ContraNov 8, 2006Contra makes it's way onto Xbox Live Arcade.. And yes up, up, down, down, left, right, left, right, b, a, start works. In Contra, the world has been invaded and only two soldiers stand between the alien menace known as Red Falcon and the tot..
Dance Dance Revolution Universe 2Dec 4, 2007The series’ encore performance on Xbox 360 delivers new gameplay options along with a mix of songs from the 1970s, ’80s, ’90s and today as well as online play, downloadable music, enhanced graphics and accessibility for players of all ages. ..
Dance Dance Revolution Universe 3Oct 21, 2008Dance Dance Revolution celebrates its 10th anniversary! Dance Dance Revolution Universe 3 dances its way to you with an all new interface, fun new modes and settings for players of all skill levels, cool smash-hit songs, robust online and offline sup..
Dance Dance Revolution: UniverseFeb 27, 2007The hottest revolution and bestselling video game in the music game category continues its long tradition of innovation and creativity with an entirely new game for the next-generation! Dance Dance Revolution UNIVERSE, exclusively designed for the Xb.. Pro Yakyuu Spirits 3Apr 06, 2006 (JP)Pro Yakyuu Spirits 3 is a baseball game from Konami for the Xbox 360. .. 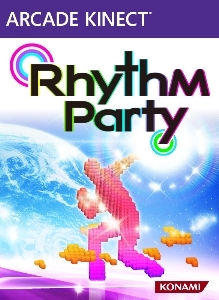 Rhythm PartyFeb 1, 2012 (US)"Rhythm Party" is a rhythm action game developed exclusively for Kinect on Xbox LIVE Arcade! Brought to you by the "Dance Masters" development team, it transforms your entire body into a controller. No need for choreography anymor.. Deep in a forest, in one of the Order's prisons, a young boy named Capell was being held captive. His captors called him the "Liberator," though he had no clue as to what they meant. On the ..